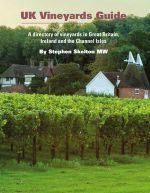 An ideal accompaniment for the wine enthusiast, this latest map of the vineyards of Great Britain shows the location and contact details of many of the country’s leading vineyards, listed by county. Each vineyard listed has clear references to facilities. Dr Belinda Kemp is a senior scientist in oenology at the Cool Climate Oenology and Viticulture Institute (CCOVI) at Brock University, Ontario, Canada. She is a graduate of Plumpton College and gained her PhD in viticulture and oenology from Lincoln University, New Zealand. Emma Rice was a previous editor of Hugh Johnson’s Pocket Wine Book, and is now an oenologist and winemaker and runs her own business Custom Crush UK Ltd offering wine analysis and winemaking expertise. She is also Head Winemaker and a Director of Hattingley Valley Wines Ltd, in Hampshire. The book that brings the story of wine in England and Wales to everyone who is interested in drinking it. A 2,000-year account, from vine-growing Romans to the world-beating sparkling wine producers of the 21st century, covering aspects such as climate and location, grape varieties, how sparkling and still wines are made, inspirational people and places, food matching, what the future might hold. Inspiration and information combined! Available from lulu.com Price: £22.95 + postage and packing. 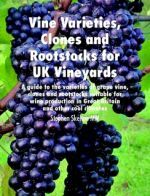 Since 1986 Stephen Skelton has been lecturing for the Wine and Spirit Education Trust (WSET) in London, the UK and Ireland to Diploma students on the subject of Viticulture. This book is an expansion of those lectures and is an introductory guide to the subject. It covers the basic principles of grape-growing for wine production and is aimed at wine-trade and WSET students, together with Master of Wine candidates. Available ONLY from lulu.com. £16.50 + p&p.